Not only human beings who have a tragic story, a car can be. 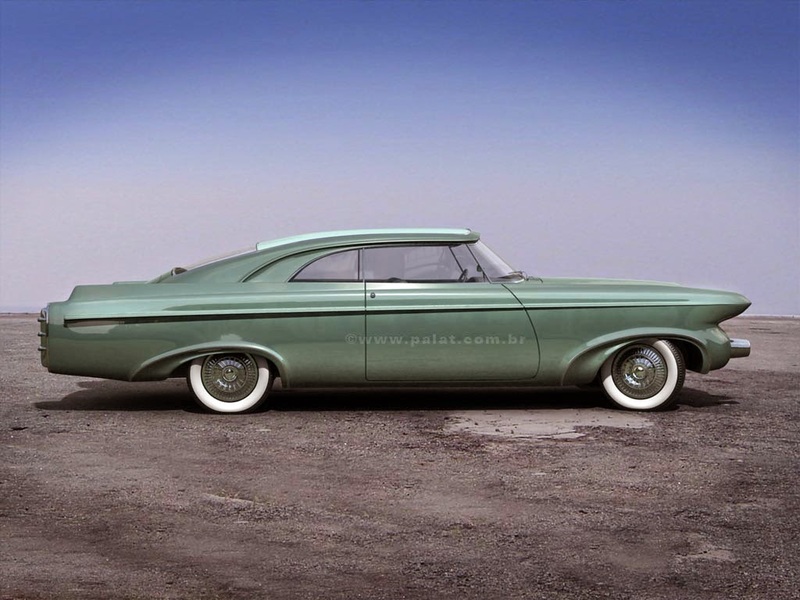 One is the Chrysler Norseman Ghia. The story begins in the mid 20th century, precisely in the early 50s. At that time the Italian economy amid improve itself by war. Conditions that make the cost of labor in Italy is lower than the United States. 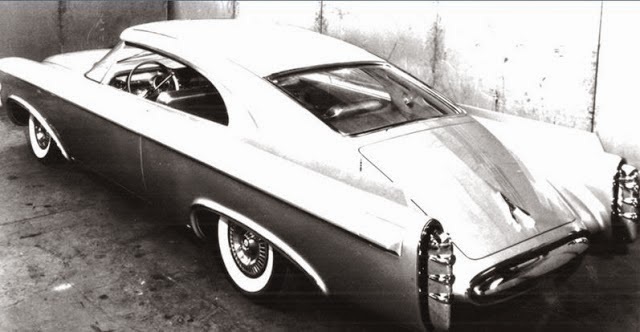 Considering this and the tradition of exquisite craftsmanship of Italian coachbuilders, it is not surprising that when Chrysler wanted to create some research prototypes, it turned its looks to Italy. In 1950 C.B. Thomas, head of styling at Chrysler, contacted the Italian manufacturer Fiat and asked them to suggest which companies could take on this contract. The Italian gave two names: Ghia and Pininfarina. 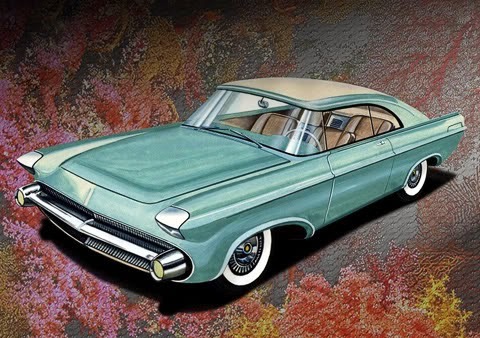 Finally, the choice fell on Ghia thanks to the level of craftsmanship and smaller costs rather than better styling proposals, seeing as both companies had to build a car based on the same set of drawings sent from Detroit. 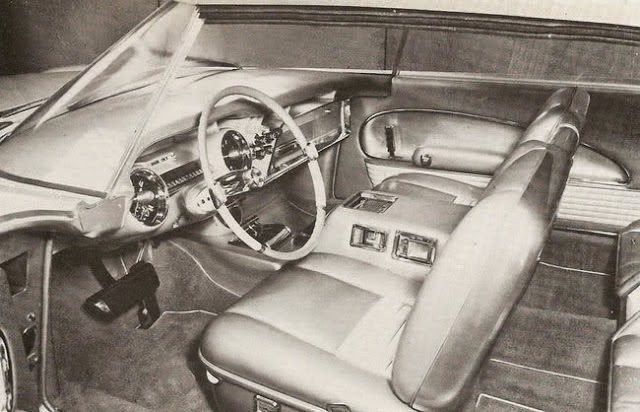 It was a turning point in the history of Ghia, a small company in Turin given a valuable opportunity to show their designs to the world under the auspices and the costs borne by the Chrysler. 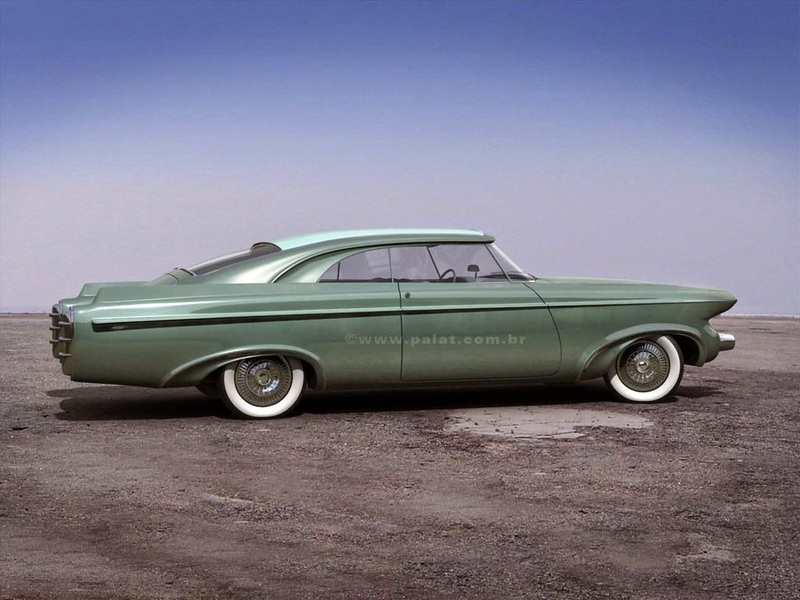 After developing several prototypes, in 1955 Chrysler finally commissioned Ghia to build a show car. It was to be 'the most automated car in the world'. For design matters usually entrusted to Virgil Exner, but in fact most of the work done by his subordinates, Billie Brownlie. As a result a truly innovative design, its most striking feature being the cantilevered roof, which was supported only at the rear pillars. There are no side pillars and window ventilation is usually there at that time. 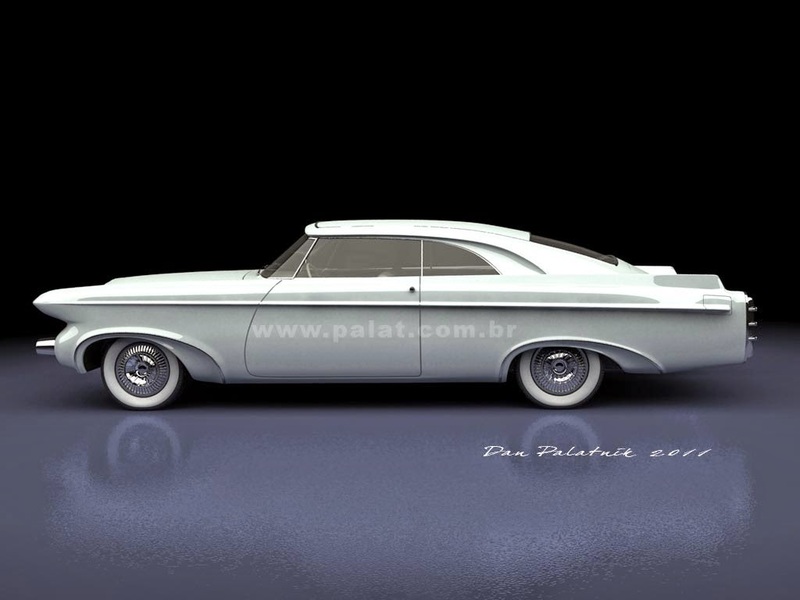 In addition to the rear pillar, the roof is just resting on the frameless curved windshield. On the roof there are electrically operated sunroof, a feature that is very advanced at the time and extremely difficult to integrate into the slender roof structure. 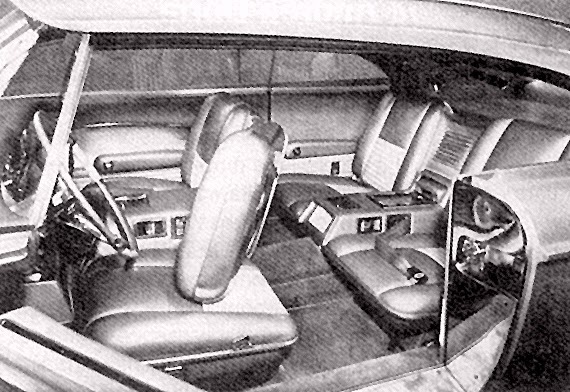 The interior had four leather upholstery and a set of futuristic gauge pods, complete with luminous paint at the back of front seats as an experimental method of lighting systems. Power source using a Hemi V8 engine with a capacity of 331 ci (5,424cc) is capable of generating power up to 235 hp with 2-speed Powerflite transmission, shifted by push-buttons, while the chassis is the possibility of using the Chrysler 300. There was no consensus over the subject of the car's colour. 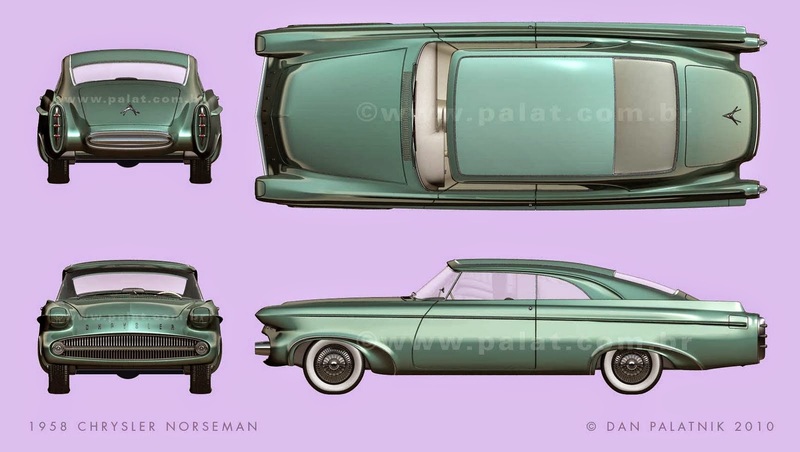 Chrysler ordered the car in dark green color, with green and gray interior, while according to Exner it was to be painted silver. But the journalists who saw this car in Italy before shipping, wrote that the car appeared in two-tone blue, with red leather and black accents. Intricate design make these vehicles take a long time in development. It took the team, led by Sergio Coggiola takes 15 months and made Chrysler spent more than US $150 thousand to finish the Norseman. 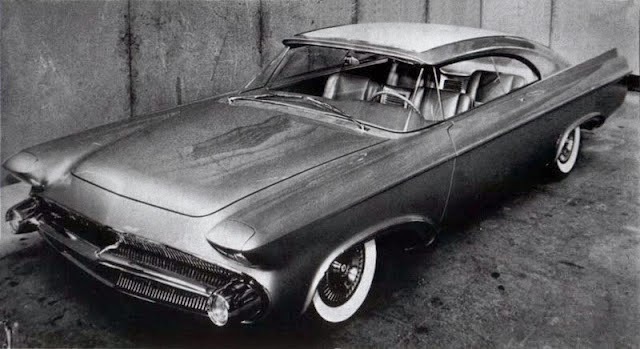 The project was finished on schedule and the Chrysler Norseman completed on July 17, 1956, then packed in wooden crates, and loaded onto the board of a luxury liner of the Italian Line, operating between Genoa and New York. The ship's name was SS Andrea Doria. 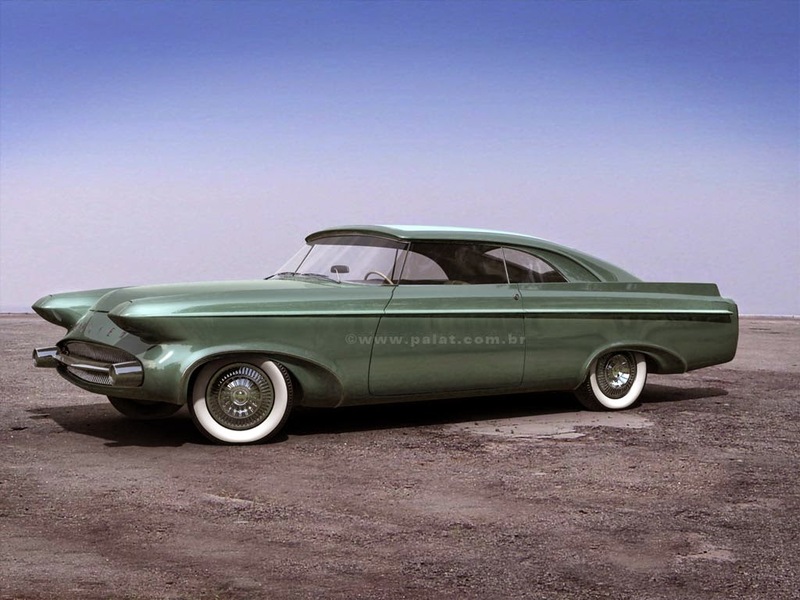 While in Highland Park, Michigan, Chrysler design team could not wait for the new car which is scheduled to be a star of the 1957 auto show circuit. Although they designed it, but none of them had seen the final creation in flesh. Especially when forwarding agent delivered the news that Norseman had been lost forever. On evening of Wednesday, July 25, 1956, SS Andrea Doria were heading west through the New York Bay. No one will know if it was his last voyage. Ships are expected to dock in NY the next morning. At 23:10, 40 miles off the coast of Nantucket, SS Andrea Doria collided with the MS Stockholm, a Swedish passenger ship on its way from New York to Gothenburg in heavy fog. Thanks to the professional rescue operation, from about 2,500 passengers, only 53 people were killed in the disaster. Eleven hours later, SS Andrea Doria sank carry the entire payload including the Chrysler Norseman to rest in peace at a depth of 72 meters in the dark ocean floor. Since then, only one person who had seen the car. 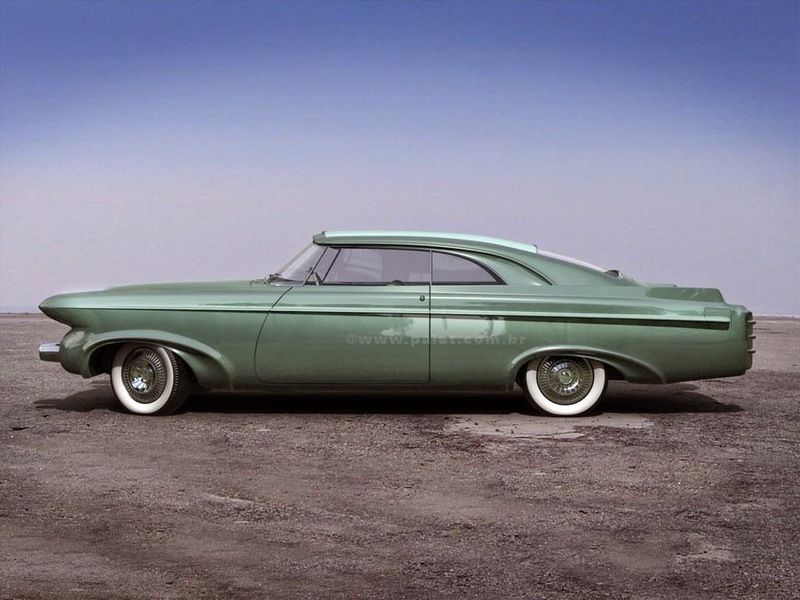 In 1994 a famous diver with a diving expedition, David Bright found what he describes as 'rusted hulk' of the Chrysler Norseman. According to what he described, the position of the car in the accident that makes it almost certain that nobody will be able to see again. David Bright died in 2006 from decompression sickness after another of his divings to the Andrea Doria wreck.